The Film Development Council of the Philippines (FDCP), the government’s arm in promoting the country as a destination for filmmaking and filmmakers, is bolstering efforts to draw in an international crowd at their annual International Film Expo. 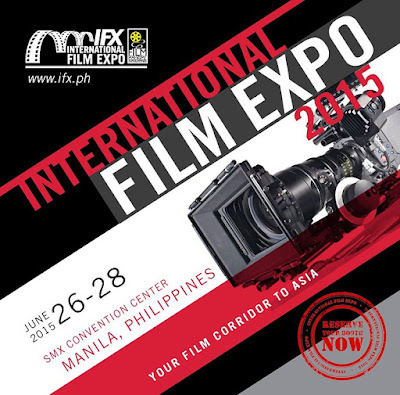 Now on its fourth year, the IFX is set to happen on June 26-28, 2015 at the SMX Convention Center Manila, SM Mall of Asia (MOA) Complex, Pasay City. 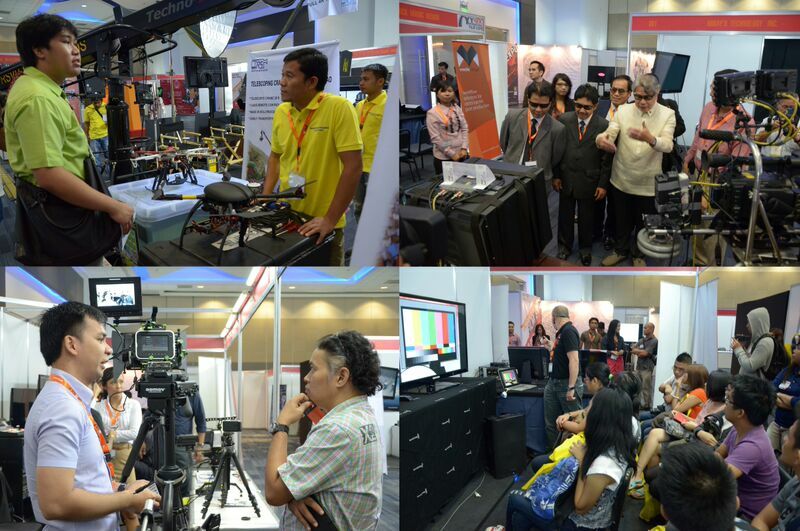 “This year, we have a roster of quality production houses, film schools, equipment suppliers, service providers, and other prominent exhibitors from all over the country and the world participating in this event. We are literally a film corridor helping the Philippines make way around Asia and beyond,” remarked Briccio Santos, Chairman of the FDCP. 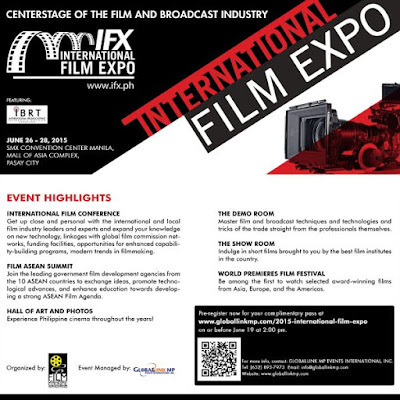 IFX 2015 brings together the world’s most prominent players in the film industry that will showcase the best and the latest in the global film and broadcast market today. Attending directors, producers, film and broadcast companies and professionals can expect to see more international companies to participate this year, as a section of the hall is already blocked off for the ASEAN pavilion. Catering to the increasing demand of the film industry, a special segment about audio and video editing, broadcast equipment, cinema technologies and equipment, satellite modems and receivers, special effects and 3D technologies, studio equipment and so much more can be seen at the International Broadcast, Recording and Television Expo (IBRT). As the ASEAN film industry converge with the Philippine market, there are so many activities look forward to at IFX that has truly made the Philippines as the center stage of the film and broadcast industry. International Film Conference (Where an elite group of international and local film industry leaders and experts discuss new technology, linkages with global film commission networks, funding facilities, opportunities for enhanced capability-building programs, modern trends in filmmaking, all with the means of educating a film industry ready for the future). Film ASEAN Summit (Lead government film development agencies from the 10 ASEAN countries (Indonesia, Malaysia, the Philippines, Singapore, Thailand, Brunei, Burma (Myanmar), Cambodia, Laos, and Vietnam) are set to meet at this one-of-its-kind platform to exchange ideas, promote technological advances, and enhance education towards developing a strong ASEAN Film Agenda). World Premieres Film Festival (A feature film competition like no other the world has ever seen, this event will showcase films from Asia, Europe, and the Americas). “For participants, there are a lot of opportunities for networking with brilliant minds in their various fields. For exhibitors, a chance to reach out to the right audience and buyer for your products and services,” said Santos as the success of last year’s IFX is apparent: 59 companies participated and over 1,500 registered local and international visitors attended the expo. To pre-register to visit the expo, sign-up here.